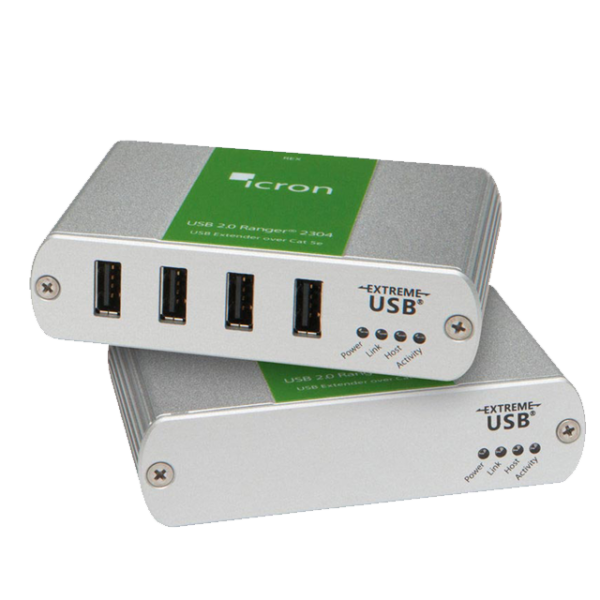 including newer USB 3.0 compatible devices and controllers, and fast USB 2.0 throughputs. 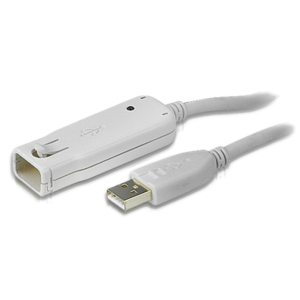 The Ranger 2304 extends all USB 2.0 peripherals such as flash drives, keyboards, mice, webcams and interactive whiteboards across a dedicated CAT 5e/6/7 connection. 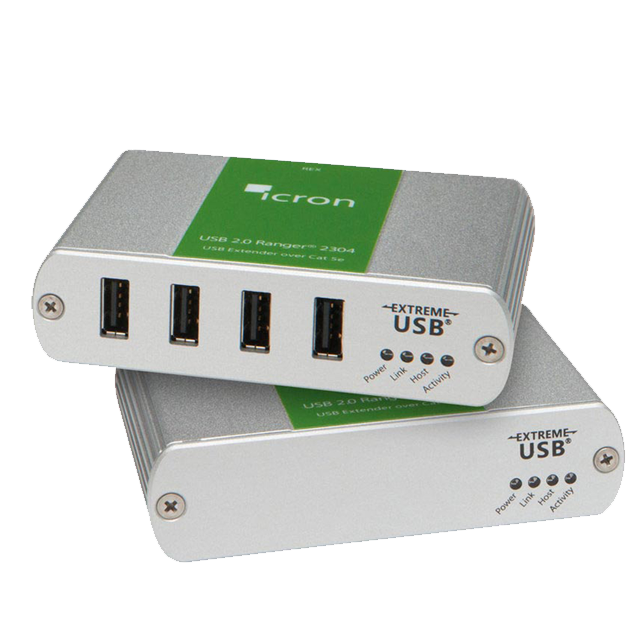 The VS481B 4-Port HDMI Switch allows you to quickly connect 4 HDMI sources to your HDMI display and easily switch between them via front panel pushbuttons, RS-232 or IR remote control. The front panel’s LEDs indicate the source device selected for the display at a glance. 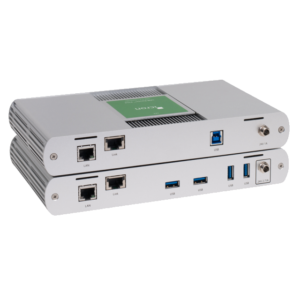 The VS481B supports Ultra HD 4Kx2K, the newest resolution for high definition displays; Auto Switching modes for auto port selection; Instant Switching for a smooth video transition between HDMI ports with increased efficiency; and features a built-in bi-directional RS- 232 serial port that allows the switch to be controlled through a highend controller, PC, and/or home automation/home theater software package. 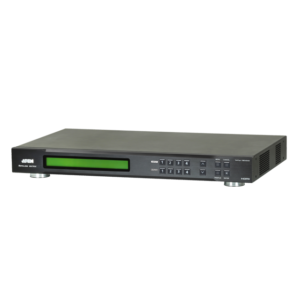 The VM0404HA matrix switch offers an easy and affordable way to route any of 4 HDMI video sources to any of 4 HDMI displays and can be operated through front-panel pushbuttons, IR remote and RS- 232 control, ensuring optimum viewing and control of high-definition video. 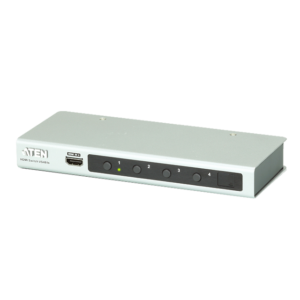 The VS0401 4-Port VGA Switch with Audio allows you to connect four audio/video source computers to a single monitor or projector with full audio and quickly switch between the devices for use. VS0401 built-in bi-directional RS-232 serial port for high-end system control, and advanced RS-232 control. The unit ´s bi-directional RS-232 serial port also allows serial devices, such as touchscreens and barcode scanners to be included in the installation. 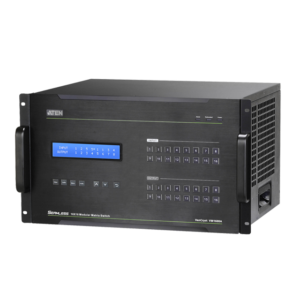 With the ability to use high-end serial control devices via RS-232 commands allows the VS0401 to be controlled by secondary systems with advanced functions such as; port switching, auto switching, front panel pushbutton lock, and Power on Detection. 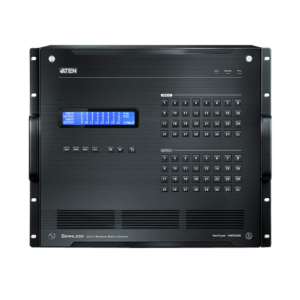 The VS0401 is perfect for the meeting room, media centers, class rooms, or any presentation environment requiring multiple audio/video sources to be accessed on a single display. 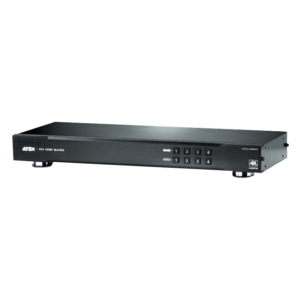 The VM5404H / VM5808H 4 x 4/ 8 x 8 HDMI Matrix Switch is a distinct HDMI solution that offers an easy and affordable way to route any of 4 / 8 HDMI video sources to any of 4 / 8 HDMI displays, with a quick view of all port connections via the front panel LCD. The VM5404H / VM5808H includes seamless switching that employs a FPGA matrix architecture that ensures continuous video streams, real-time control and stable signal transmissions. 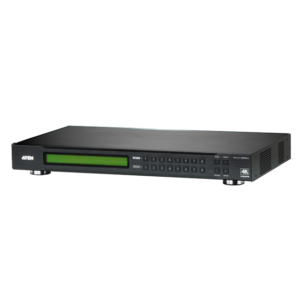 With a built in high-performance scaler, the VM5404H / VM5808H easily converts various input resolutions into various output display resolutions, giving viewers the best video and picture quality across all displays. The switch integrates video wall functionality with an easy to use web GUI that lets you create 8/16 connection profiles that can be customized into different video wall layouts. 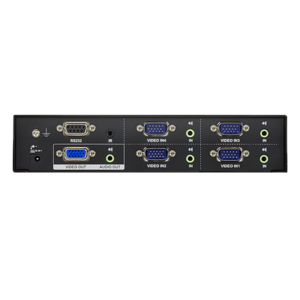 The VM5404H / VM5808H is an ideal solution for applications that require multiple HDMI displays with multiple HDMI sources to be conveniently setup in multiple locations, such as for stage presentations, competitions, control centers, and installations that require real-time reports. 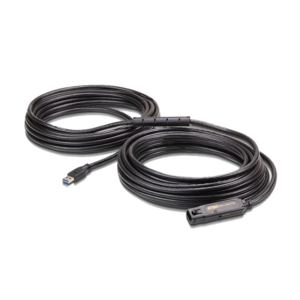 The ATEN UE3315 USB3.1 Gen1 Extender Cable allows users to extend the distance between the computer and USB devices up to 15 m. The UE3315 provides a reliable, high performance data transmission that utilizes USB 3.1 Gen1 data bandwidth up to 5Gb/s and also backward compatible with USB 2.0/1.1 standard. It’s plug and play and no additional software installation required, easy to deploy and operate on the fields. The UE3315 provides a quick and high quality cost effective solution for all kinds of professional environments like: hospitals, factories, or business facilities.